MR Equipe was founded in the nineties and was the inevitable result of demand for the products. This was entirely due to the racing success and the subsequent lifting of numerous championship titles that ensued. Mike Richards trained within the aerospace engineering industry and specialised in computer aided engineering. Valuable knowledge was gained over 12 years working within the F1, Indy cars, WRC, and various single seater projects that today is being applied to ALL MRE products. Mike was the first to design/manufacture a bespoke dry sump system to fit to a wet sump motorcycle engine in 1994. The design culminated in a World Championship win in 2001 using a Yamaha EXUP system. The Dry sumps currently used in Jedi racing cars for the GSXR 1000 engine was designed by Mike whilst working for Maxsym Engine Technology. M R Equipe now produce them for West Performance and other customers. Sidecar racing is visually one of the most spectacular forms of motorsport. The Driver and Passenger can be seen working together as one, to propel these highly competitive racing machines around the race track at breath-taking speeds. There is no other class of motorsport that relies on the 100% effective team-work between the two people on the outfit to get these beasts in and around corners. The history of racing sidecars started shortly after the Second World War, Championships started in 1949 with Sidecars entering the International Arena. The early years of the sport was dominated by the Brits with racers like Eric Oliver and Denis (Jenks) Jenkinson the famous motor sports journalist won the first ever crown on their Watsonian - Manx Norton Outfit. 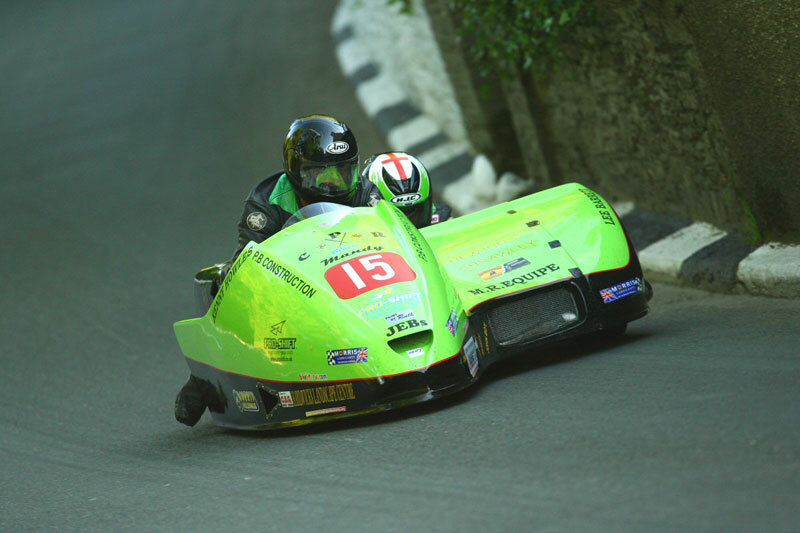 Over the last two years the CRMC has seen a huge resurgence in Sidecar entries with grids filling up fast. The action on track is spectacular with close battles being contested between several groups throughout the field. This is in part down to the efforts of a few individuals as well as securing some solid sponsorship which will hopefully guarantee the inclusion and growth of Sidecar racing with the CRMC for many years to come.